So now you’ve browsed and successfully downloaded the Magento 2 theme for your Store. Congratulation! Your website is about to have a whole new Interface, which may excite your visitors and probably brings you more leads and sales this month. However, you have two more steps to successfully have your theme work for you: Upload Magento 2 Theme and Install it. This may sound easy at first, but without coding knowledge and Magento Module Installation experience, this work could become hours of finding the bug, fixing the errors, giving the wrong command and even mistakenly delete your website’s precious customer data. This article presents to you 4 main ways to upload your just-downloaded-theme to your server, even without the help of a developer. These 4 ways are: Upload by uploading the unzipped file via FTP, upload by uploading the zipped file via FTP, upload via cPanel, and lastly upload using Composer. To ensure you would not lose your previous work, we encourage you to set up a new branch to come back when you want. you can find the name and version of any module (whether or not you purchased it on Marketplace) in the module’s composer.json file. Open App > Code > [Theme name] > Setup > composer.json in a text editor and find the values of "name" and "version". After uploaded and unzipped the theme successfully, you have to install the theme by upgrade setup, import demo data, deploy, and flush cache to have your theme installed just the way you see the theme demo. The procedure results from Magento’s natural system. 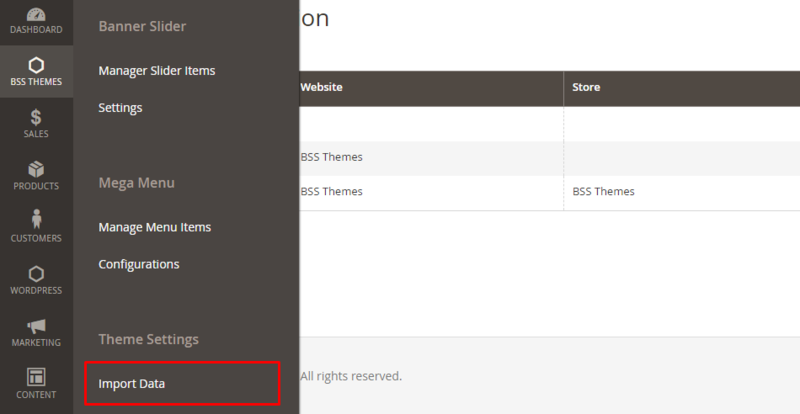 There you have your theme fully uploaded with full CMS, Blocks to the server. Next, to display your theme, you have to install the theme correctly. If you have any more question regarding uploading Magento 2 theme, leave a short comment below, and we will respond shortly. You can also browse the theme we have spent all our time and pride on to develop below.